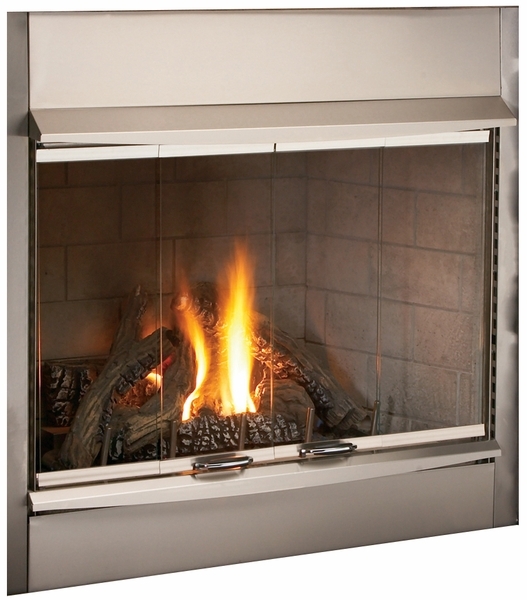 This fireplace hood from Vantage Hearth is designed specifically for their 42 inch outdoor heating appliances. This hood can easily be installed because it is completely compatible with their other products, and the durable materials make it a long lasting way to improve the efficiency of your outdoor fireplace. This hood can be installed to deflect heat outward, and create a more even distribution of heat that is able to heat a larger area of your backyard. What is the distance between the top of the fire pit to the bottom edge of the hood? This hood is made to attach to the facade of certain Vantage Hearth 42 inch fireplaces. As such, the bottom of the hood would be directly above the fireplace opening.